… or scribble dreams. That’s certainly the case this time. 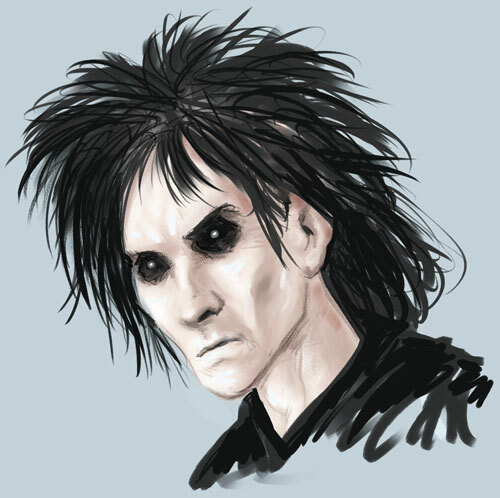 While trying to rein in the horror that is my computer’s desktop, I found this little doodle I did of Morpheus of the Endless from Neil Gaiman’s The Sandman. I vaguely remember doing this to try out some of the new brushes in the latest iteration of Artrage, which if you’re interested in digital painting, I strongly recommend you take a look at. It’s a budget price for an excellent piece of software.